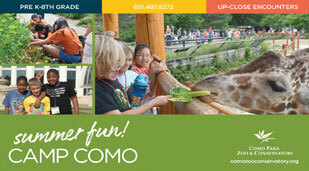 An educational program from Como Park Zoo and Conservatory will enhance any curriculum! We have the ability to provide your group with a fun and interactive presentation at your site or at Como (travel restrictions apply). Each program uses a variety of sensory aids, including live plants, animals or other fun interactive components to enhance the learning experience. This interactive program is designed for our youngest learners! Join us as we grow into frogs, read a frog story, and try our hand at jumping, eating, and moving like frogs. Also, we’ll meet a few unique frogs and toads from the Zoo! During Mini Movers our youngest learners will discover how animals stay safe in nature by swimming, hopping, flying, and stomping. This interactive program includes a story, creative movement and animal visitors that are sure to delight! Meet some live animals that are very different from each other! Learn the difference between mammals, birds, reptiles, and amphibians. Can you move your body like one of these creatures? We will play some fun games to find out! What makes a penguin a penguin? Explore the world of penguins and what makes them so unique. Enjoy a visit from a real live penguin! Then discover the adaptations penguins have through games and movement. Fur, Feathers, Scales and Slime! There are so many bugs in our world and they all look so different! In this program students will sort bugs into different categories and learn how they change throughout their lives. Students will get an up close view of some of Como’s bugs to help them explore these ideas. Kindergarten Level: How do animals move their bodies? Find out in this interactive program which includes a story, creative movement games and animal visitors that are sure to delight! 1st Grade Level: Take it a step further in this more advanced version of Mini Movers for the first grade level. Students will find out not only how animals move, but also WHY they move. Animal visitors will be ready to help answer these questions. Limited grants available between 9/1-4/30 with accepted Nature’s Engineers application. Did you eat a piece of fruit, brush your teeth, or wear a sweatshirt today? Then you use some of the many resources we get from plants. Students will find out how we use plants and what plants need to survive in this program. Meet plants from Como and even make a plant product to take home and enjoy! You’ll meet a variety of animal ambassadors as you discover some of the amazing adaptations that reptiles and amphibians have. Students will learn to sort these animals into their different categories and discover how their adaptations help them survive in their specific environment. Considering a career with animals? During this program explore the many different career opportunities available, discuss ethical dilemmas in animal work, and learn more about what it’s really like to work with animals with help from a live animal ambassador! Did you know that Orangutans are 8x stronger than humans? Come learn more about these Forest Engineers, including what struggles they face in the wild. 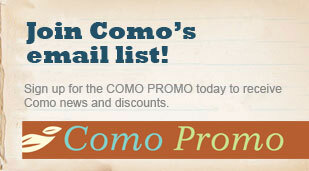 Find out ways you can help support orangutans and what Como is doing to care and protect these amazing animals. Check out our Penguin Program! All funds have been used for the 2018-2019 school year. Please check back in late summer 2019 for additional grant funding. 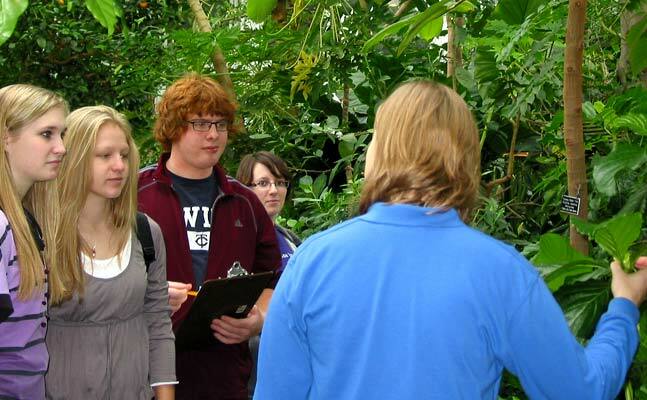 Now is the perfect time to visit Como Park Zoo and Conservatory with your class! Como has recently received a generous gift from the Donald Weesner Charitable Trust to support transportation costs associated with field trips to our park. The Yellow Bus Fund is designed to assist school-aged children who would otherwise not be financially able to visit environmental learning centers like Como Park Zoo and Conservatory. Through this grant, we are able to offset some of the cost of your field trip when you book a program with our Education Department. Como offers a variety of affordable, fun, and interactive programs for school-agers that include everything from the tropical rain forest to the Arctic tundra. Programs last between 30 and 75 minutes based on the theme and most can accommodate up to 50 students. For a full listing of our programs and fees, please visit the Current Programs tab. Eligible groups are invited to complete the attached application form and return it to Como Park Zoo and Conservatory. Allocation of funds will be determined both by the number of students served and a statement of need. Completed applications can be sent by mail, fax, or email as listed below. Please submit your request to the attention of School and Group Programs Coordinator. Organizations will be contacted regarding the awarding of funds upon completing the application review process. Individual schools and groups are responsible for coordinating their own transportation to Como. Immediately following the scheduled program, organizations are required to submit an invoice for bussing fees to Como Park Zoo and Conservatory to allow reimbursement of awarded funds.